Wry and warmhearted, “Mr. 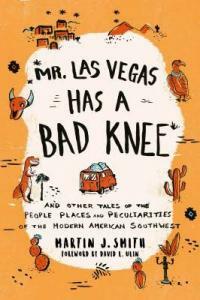 Las Vegas Has a Bad Knee” is a collection of essays about the dreamers, schemers, and weird cultural anomalies Martin J. Smith encountered during his adventures as a veteran journalist in O.C. and beyond. The former Orange Coast editor will speak at Lido Village Books in Newport Beach on Jan. 9 and at 1888 Center in Orange on Jan. 14. Q: What were the origins of the book? A: I originally started putting this book together for my kids who have never read anything I’ve written and couldn’t care less what Dad does for a living. I have a very cynical friend who refers to it as a fading rock star’s greatest hits collection. And I guess in some ways it is. But I really wanted my kids to know that this is how I approached that part of my career. I just wanted them to know what I did, should they ever have any interest in picking it up and reading it. So I put it together, and I started writing an introduction for it, and it started making more sense as a collection. A: Once I put it under the umbrella of all the interesting things and places and people you find in the American Southwest, it started to make a weird sort of sense. I think some writer, and it may have been Tom Wolfe, likened it to picking up the United States by the East Coast and everything that wasn’t stable slid into the southwest. That was palpable to me when I got here in 1985. People just thought differently. They took risks and went about doing things in a way that I didn’t recall seeing in Pittsburgh where I came from. Q: How did you choose the pieces to include? Were they your favorites? A: The profiles in particular hit the theme of iconoclasts, people doing things differently than had ever been done before or doing it better. As for the weird cultural anomalies, there was a publicist at Disney who let me paw through her file of pictures people had sent in of “Hidden Mickeys” (“among the spots of dozens of Dalmatians,” “in the furry underbelly of a pot-bellied pig,” “on a pair of snakeskin cowboy boots,” etc.) I thought it was such a Southern California thing. There’s another cultural piece I wrote for Orange Coast about Meetup.com. Just all the strange subculture things that you can get a ringside seat for by scrolling through Meetup and finding the pirate and the witch groups. That stuff felt to me like such a weird mix of cultures in Southern California, I felt that it belonged in there. More than half of (the stories) emanate from Orange County—the toilet valve guy, the old pet supplies warehouse in Anaheim, the phenomenon of the mini-trucks and stereos. Q: When you went out reporting, were you looking for something in particular or did you go out and then shape the material that you got? A: I think the joy for me in those things was working with what I got. You can’t change the fact that Wayne Newton cancels your interview after you’ve flown to Las Vegas and have done all this prep work and you’re ready to write this story on the historic Las Vegas. It isn’t there. What I was left with was telling the story of what really happened and trying to interpret that. One of my projects these days is leading a community of writers that we started with the library district up here (in Granby, Colo., where I now live). I led a series of workshops, one was a fiction track and the other was a nonfiction track, and the biggest debate that we had among these 20 or so writers was, is it OK to blur the lines between fiction and nonfiction. I allowed myself to get up on my soapbox and say, why would you do that? If you see the story clearly and you write it well, nonfiction is every bit as fun and entertaining as fiction, so don’t (blur the line). I think all of us who came up in a certain era of journalism, we understand that real life is so much more interesting than fiction. If you have the clarity to be able to see it and observe, it becomes a pretty good tale. I’m sounding like a 100-year-old man, but I don’t see a lot of that in newspapers and journalism today—that ability, that clarity. People do tend to write the story they’re expected to write. But it’s the unexpected story, when things take a weird turn, which I think can get really interesting. Q: Among nonfiction storytellers, who are your favorites, past and present? A: I’m a huge fan of Gay Talese and Tom Wolfe—those are people from my era. I’d put Tom Huth in there. 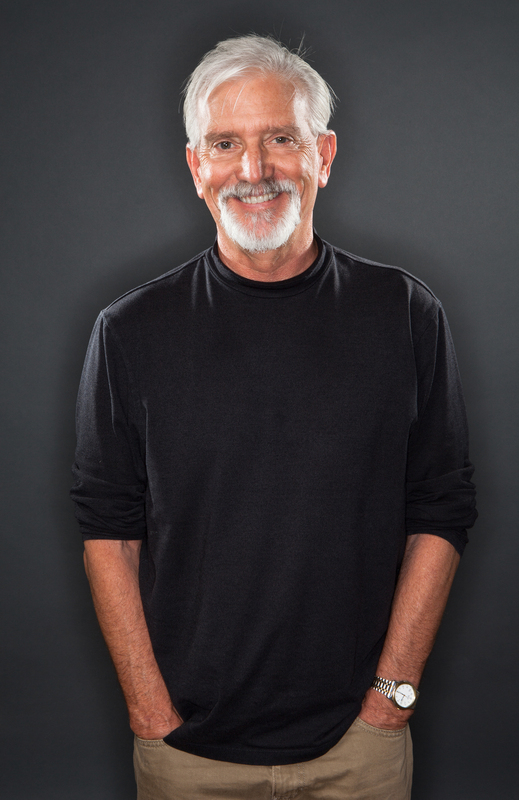 He wrote a story about traffic in L.A. for California Magazine that opened with an image of him driving down the 405 or somewhere and seeing a tire from the oncoming lane bouncing toward him. It was such a vivid image that 30 years later I can describe the opening paragraph. I think he was really good. Who else? Joan Didion. Barry Siegel, formerly from the LA Times and the current director of the Literary Journalism program at UC Irvine. He wrote story called “A Death in White Bear Lake” that he later turned into a book that I just thought was a masterwork of narrative journalism. Q: As you mentioned earlier, you moved from Orange County to a small town in Colorado in May 2016. What do you miss most? A: I mean, we’re in the middle of nowhere here. There are no Thai restaurants here. And no pho. That’s what I miss. Being able to get Cambodian food at three in the morning and just the diversity of cultures is what I miss most.